First extra sample of one of the Wolffen Helmet concepts. I came up with 2 variants of this one; The first one is standard helmet with the mean-looks, pointy teeth and sharp ears. 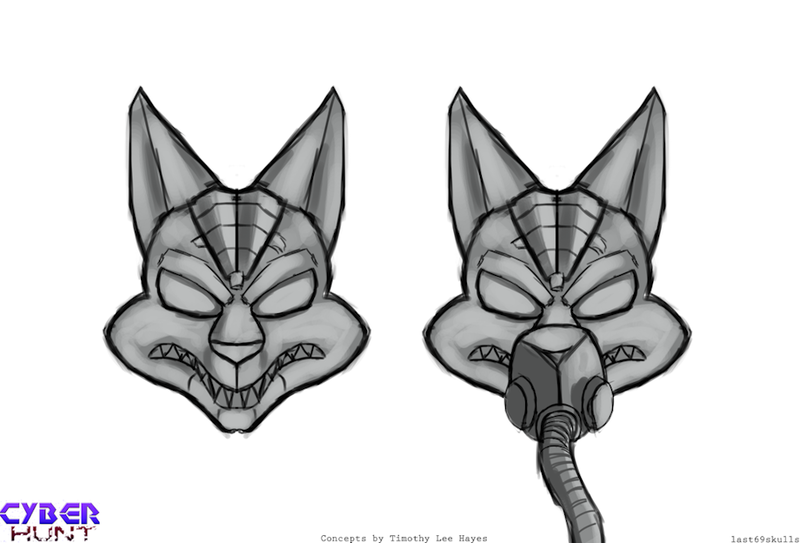 The one on the second is added with some sort of gas mask attachment. So, the second one is basically acts like a biomask. Both helmets protect and benefit the user, but the second one adds more speed and stamina to increase the lungs of the user. Concept by Timothy Lee Hayes. CyberHunt © Skeleton Cross Studios, Timothy Lee Hayes.